Red on black-and-white is such a cool combination of colours. Red poppies in a wheat field, memories of a summer gone by! 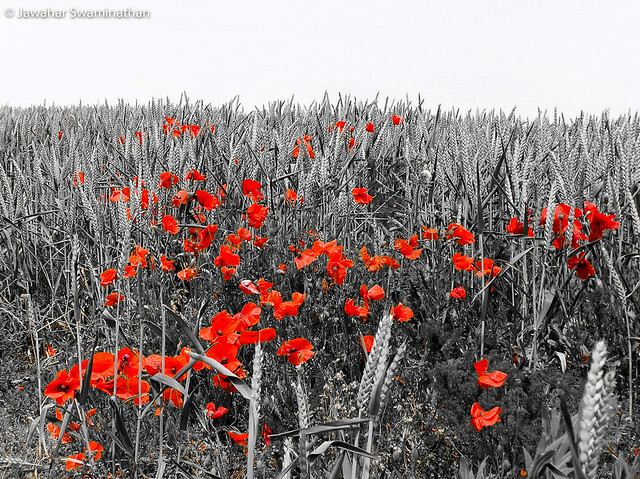 Posted on November 23, 2015 Categories Nature, Photography, Uncategorized, WildflowersTags Cambridgeshire, England, flowers, Nature, Photography, Poppy, red on black, Selective colouring, Summer1 Comment on Poppies..
Found these growing on a hedgerow and it took a little while to identify as the bittersweet nightshade, a relative of deadly nightshade (Solanum nigrum). 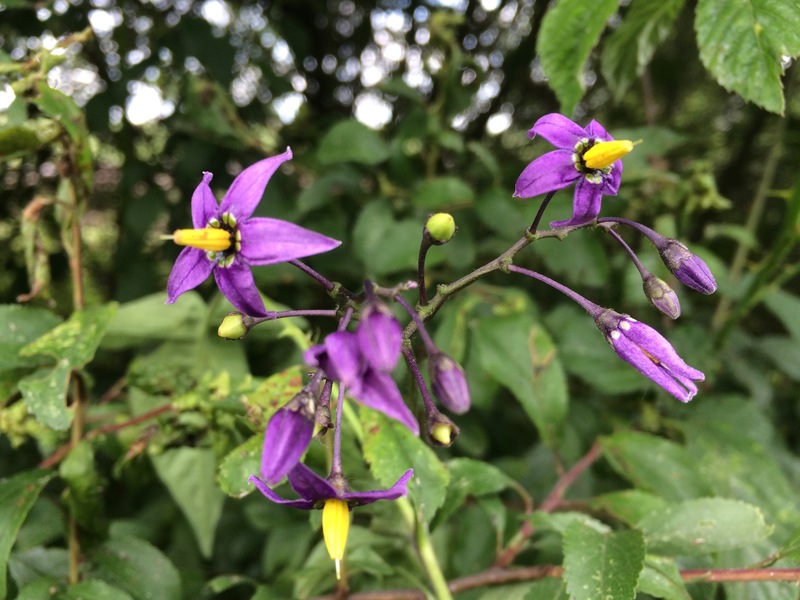 S. dulcamara is also poisonous but not as much as S. nigrum. Straight off the iPhone camera with no post processing. In a German legend, when god had finished naming all plants, a small unnamed plant cried out “Forget-me-not, my lord”. Then god said “That shall be your name”. Another legend claims that after the Creator thought he had finished giving the flowers their colours, he heard one whisper “Forget me not!” There was nothing left but a very small amount of blue, but the forget-me-not was delighted to wear such a light blue shade. Forget-me-not! Click on the photo for a larger version on Flickr. 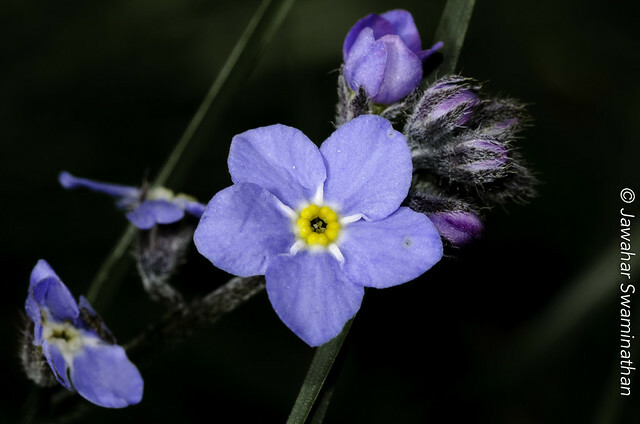 The tiny, cheerful blue flowers of Myosotis have played an important part in European folklore and history – from being used as a symbol by Henry Bolingbroke (later Henry IV) after being exiled by Richard II to its adoption by the Freemasons during the Nazi regime across Europe. The flowers of forget-me-not are no more than 1cm in diameter and grow in long thin stalks bearing many flowers. They are popular in gardens and grow on the side of river banks and streams throughout Europe. Posted on May 23, 2014 Categories Macro, Nature, Photography, WildflowersTags Adobe Photoshop Lightroom, black background, blue flowers, english kings, Flora and Fauna, Flower, flowers, folklore, forget-me-not, Freemasonry, German legends, Henry Bolingbroke, Henry IV, Macro extension tubes, Macrophotography, Nature, Nikon D7000, Photo, Photography, wildflowersLeave a comment on Forget-Me-Not! For all the beauty and colour of the strawberry fruit, the Fragaria blossoms are small, white flowers with a yellow centre (about a centimetre across). 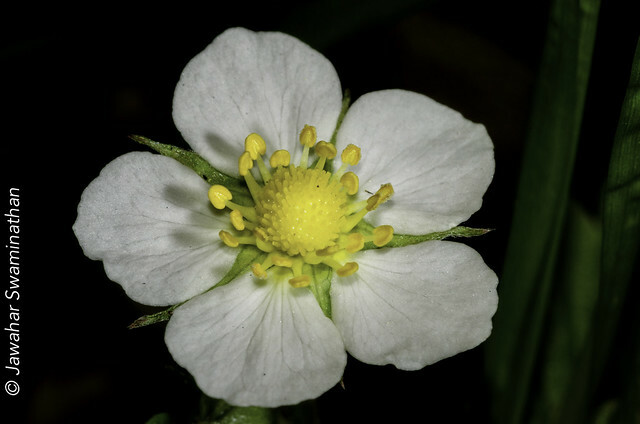 The following photo is of a wild strawberry flower shot with a macro lens with extension tube attachments (hence extreme macro). Strawberries below to the rose family and have 5 sepals, 5 petals and many stamens arranged spherically. 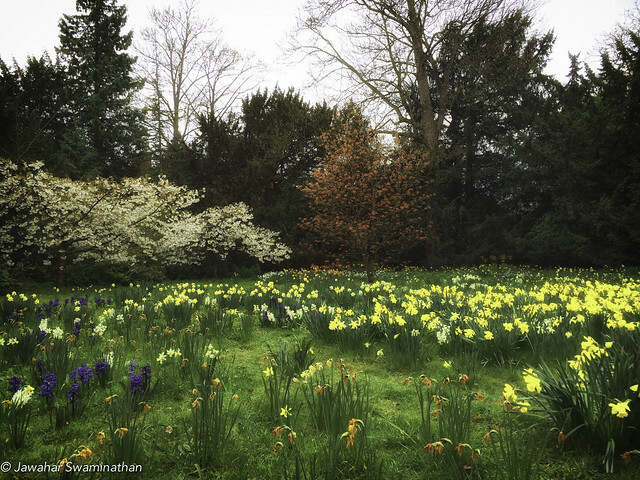 All signs suggest that spring has well and truly sprung here in East Anglia. 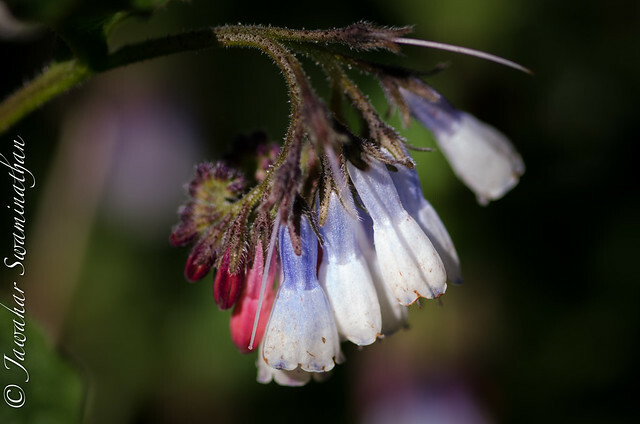 I was at the Anglesey Abbey last weekend, and among all the bluebells, snowdrops, daffodils and hyacinths were some lovely flowering comfrey plants. 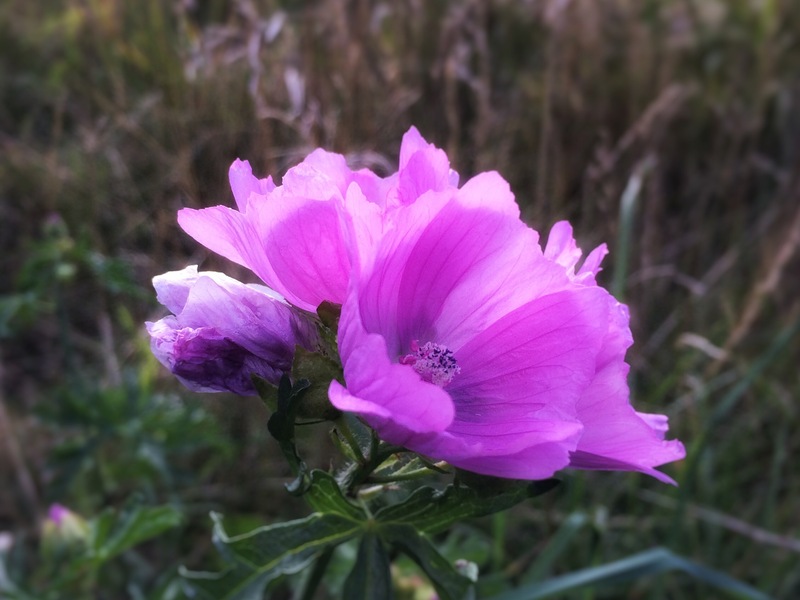 As you may already know, comfreys have long been associated with medicinal properties – particularly for the treatment of skin treatment. Their role in herbal medicine, to say the least, has been controversial. Nevertheless, they are an attractive addition to wildflower gardens.